The yearly arrival in North Cyprus of the turtle population brings about hectic activity by marine groups, volunteers and the general public! Beaches all over the island are cleared and made ready for female turtles which come to nest all across the shores of North Cyprus. There are two types of turtles which come to nest in North Cyprus and these are the loggerhead (Caretta Caretta) and green sea (Chelonia Mydas) turtles; they make the yearly journey to nest and then return to the sea, leaving their eggs deep in the sand to hatch. Environmental groups have been active since 1992 in helping to protect these precious and endangered creatures, monitoring the hatchlings to ensure that their survival is as guaranteed as much as possible. Some of the best beaches you will find in North Cyprus are to the east of Kyrenia, and if you’re not particularly interested in mingling with lots of other people then the further east you go, the quieter the beaches become! In this article we will detail the main beaches along the coast up to the Karpaz and back down on the southern stretch through to Famagusta. 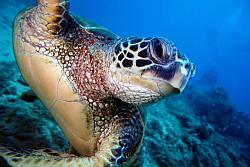 SPOT, or the Society for the Protection of Turtles, is an organisation that has been involved in sea turtle monitoring and protection in North Cyprus since the late 1980s. It was founded by the late Ian Bell and his wife Celia. They asked for the help of the Marine Turtle Research Group in conjunction with the government to enable more research and conversation measures in 1992, and since that time yearly projects have been run during nesting seasons. Many people will be familiar with the marine conversation efforts each year, with volunteer students from the UK arriving en masse to Alagadi Beach to help with the conservation all over North Cyprus. They study and give the practical help needed to enable these wonderful sea creatures to emerge unscathed from their nests, and to reach the shoreline safely upon hatching so that they can hopefully live for many years, returning to North Cyprus to give birth to their own young in the future. 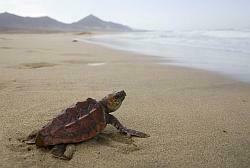 You can find out more about SPOT and their turtle watching scheme in our related article. Esentepe, (meaning windy hill), is a village located on the north coast to the east of Kyrenia probably dating back to the Byzantine era when the village was first established. If you’re looking to leave the hustle and bustle of Kyrenia behind and you want to venture out further into the ‘real North Cyprus,’ then head east along the coastal road and you’ll come to pretty Esentepe – your gateway to the Karpaz region, the coast and the foothills of the Kyrenia range. At its centre is a charming old village, which is so laid back it makes you want to sit down and while away the day over a coffee or perhaps a glass of local wine! 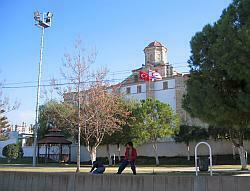 The central village population is mainly made up of mainland Turkish people from the Black Sea region, who moved to North Cyprus post 1974. North Cyprus is host to an eclectic mix of unusual wildlife, and some fascinating species can be seen at any time of year. North Cyprus is also home to common and recognisable species such as hedgehogs, foxes and tortoises, although the latter is not native to the island but was probably brought from Turkey and left free to roam the countryside! There are an abundance of butterflies and also mammal, reptile and sea species, and you can find examples of wildlife anywhere in the mountains and along the unpopulated coastal areas. North Cyprus is also famous for its wild flowers, especially the rare orchids that attract travellers from all over the world. The National Park of North Cyprus is located on the Karpaz Peninsula and is an extremely important biologically diverse area, as well as being historically and archaeologically rich as well. You can find many birds within the National Park, as well as rare flora and fauna and feral donkeys which are allowed to roam free. 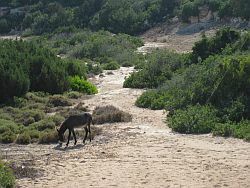 The Karpaz National Park has been recently designated as a Special Protected Area in line with EU regulations. Ecologically the area is home to more than 100 rare species of flora, and its beaches are also important nesting sites for the Loggerhead (Caretta Caretta) and Green Sea (Chelonia Mydas) turtles. Historically within the national park area remains of the Kastros, the first human settlement on the island of Cyprus, have been found too. So you can clearly see just how significant and important a region of Cyprus the National park truly is.